Alas – I don’t particularly recommend it. I love rich things, but you know how chocolate and cheesecake, individually, are divine, but chocolate cheesecake is too much of a good thing? 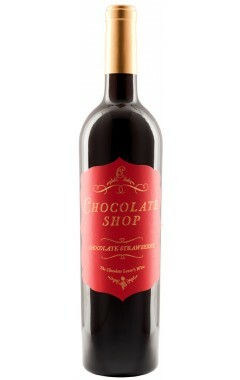 That’s what this wine is – too rich, too sweet, almost, dare I say it, too chocolately – at least for wine. Wine should taste like, well, alcohol, and oddly enough the strongest flavor this wine has is of fruit. And yet it’s not even strawberry flavored – if I had tasted the wine without knowing what it was I would probably have said it was very strong grape juice. It’s not a bad flavor, just incredibly fruity and overly rich, it tastes like a dessert. And I would rather eat dessert than imbibe it, thank you. I like it enough to drink the bottle, but won’t be buying it again.